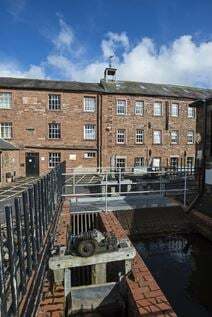 The centre is based in the heart of Carlisle and offers a work space priding itself on members coming together in a premium environment, growing as a brand and networking with the businesses they are working alongside. The centre comes with great meeting room facilities, super fast WiFi and a lovely onsite cafe. The centre is just a 10-minute walk from Carlisle station - which offers direct access to London, Birmingham and Glasgow. This three storey building offers fully serviced office suites suitable for a wide variety of businesses. Meeting rooms, conference areas and consultation rooms are available, and on entrance, visitors are welcomed by a beautiful atrium reception. An optimal distance from Carlisle city centre, this location provides both easy access to local shops and amenities, and a calm, quiet business environment. Public transport links are excellent with Carlisle train station just five minutes’ away by foot. This building boasts offices fully furnished to high standards, with telecoms, CCTV, a large car park and break out areas in a contemporary style. Also provided is a staffed reception. 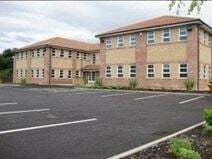 The centre is located on Parkhouse Business Park, just off the M6 at Carlisle. This prosperous industrial area houses many local, national and multinational businesses. Designed for low costs and flexibility, this centre offers a variety of “space” solutions suitable for any business. The site is on the A69, not far from the M6 junction 43, giving it a rural, but accessible location. This area is ideal for easy access for clients and services throughout Cumbria, the north-east of England, and south-west Scotland. Carlisle Railway Station is less than 20-minutes drive away, and provides services to Newcastle, Birmingham New Street, London Euston and Manchester Piccadilly, as well as Glasgow and Edinburgh.